Passport Office only accepts online applications.Those who do not have internet facility may apply at the service centre at the passport office for a small fee.Visit the website www.passportindia.gov.in .Do a user registration on this website.Then login with your user id and password.Click the link for new passport and fill up your information in the loaded page. Schedule appointment after paying money. Money can be paid online through credit / debit card, sbi challan & internet banking facility of SBI or associate banks.Fee would be different for different types of passports. 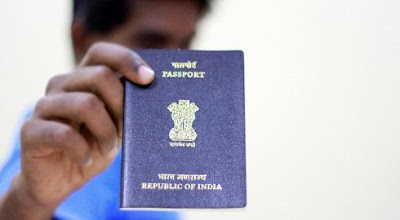 Rs 1500 is the normal fee for 36 page passport. For 60 page book, 2000 rs should be paid. Fast track quick tatkal scheme fee would be Rs 3500 & Rs 4000 respectively.After fee payment & schedule of appointment, take a printout of the application receipt.You should reach the regional passport office seva kendra with the printout and original certificates.The venue & time can be found from the portal. Certificate to prove age could be election commission voter id card with photo, School leaving certificate / SSLC, Signed affidavit of Notary Public. Birth certificate is a must for those born after 1989. Certificate to prove address can be telephone bill, electricity bills, election commission voter id card, Aadhar Card, photo pasted bank passbook. The bank account should be in active operation. Since your photo is taken onspot at passport seva kendra, there is no need to bring photo. You can get passport at talkal speed without paying additional fee.Producing Aadhar card, Voterid card & Pancard together can speed up the process.